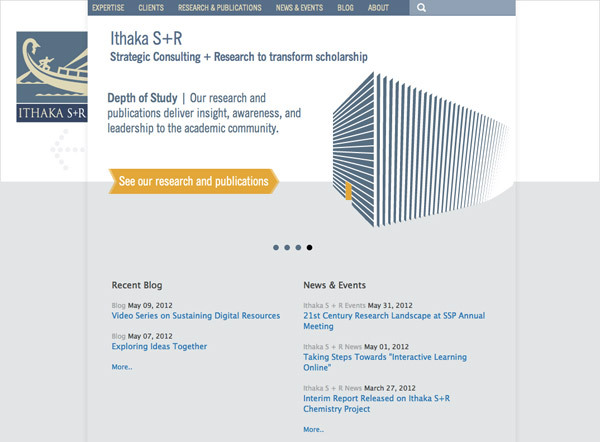 In addition to ITHAKA's new main website , C&G; Partners also designed a new web presence for Ithaka S+R, the strategic research branch of ITHAKA's services. 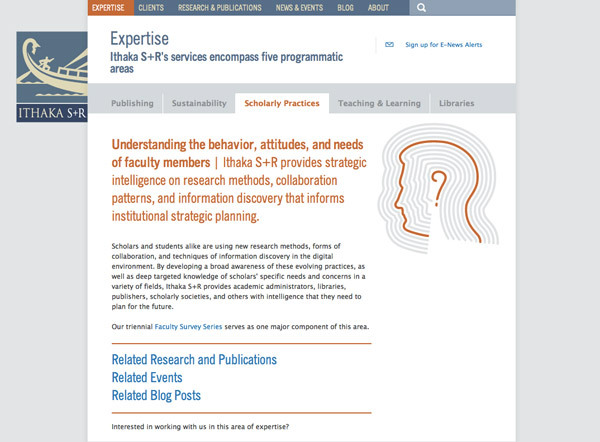 The goal for S+R's website was to distinguish this branch of the ITHAKA family in a complementary fashion to its parent and sibling services, and additionally pinpoint its areas of expertise in the academic arena and the research and publications that result from their work. 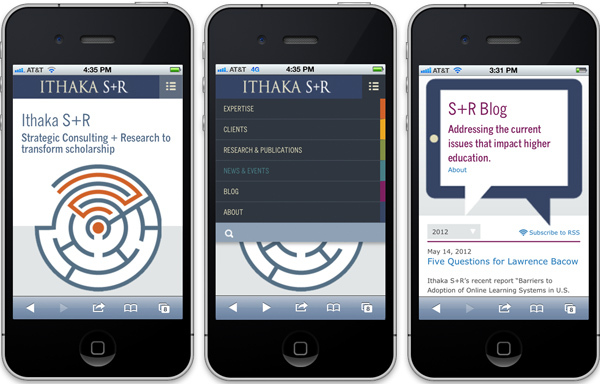 Ithaka S+R taps into the power of tagging, which helps add a face to events, blog posts, projects and research output. Like its parent site, this site is mobile-optimized, stacking the navigation choices in a phone-friendly interface. Experience the Ithaka S+R site for yourself.